A quick levels check, battery condition and A/C at the very least yeah! Specially coolant… I neglected it once and I paid it dearly…. Though temperature in summer is usually high, still most of us prefer to go for a long road trip during this time. So, before going for the trip, make sure that the car is ready for some sun drenched driving. Its is just because the high temperature of summer, flurries of dust, dirt can take a toll on car. So, some basic maintenance that includes oil and oil filter change, checking of fluid level and tire pressure, inspection of ac, battery etc. will surely help to keep the car trouble free during the long road trip. Thus, preventive maintenance is very important not only in summer but also in other seasons over a year that will help in smooth running of car and expanding the life span of that car engine. Thank you. I will surely keep this in mind while driving in north Carolina, you post a very informative blog for nc citizens. I want to know some more tips for maintenance of car in summer. Great tips! It’s very informative information. 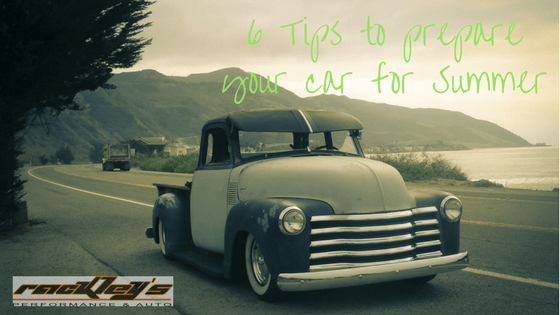 I would definitely try to follow these tips in order to maintain the long lasting of my car repair and maintenance. You have shared very informative post with us. Thanks very much for these suggestions. Summer is coming cautions all the car riders. You have to make your car fit for the hot season. So, the worth of the post for you is too high. For this time at first, make your air conditioning and coolant systems issue free. Apart from these, the other maintenance tips are same for all seasons. Engine oil change and checking out the battery, brakes and wiper blades are the common points to be followed all time. It will not only help you during your trip but also save your penny blowing away in repairs. Summer is considered as the right time for long drive. So in order to make it hassle free, you have to strictly follow few guidelines suggested by the eminent experts. Before hitting the road, you have to check your brakes, engine oil, air filter, coolants, air conditioning and wiper blades. You should maintain them in proper working condition. So, you have to take it to a good garage. The mechanics working there offer best services to their customers. Then, you can make your trip smooth. Maybe average battery life is 5-7 years but you have to check battery for a long drive because I have a bad experience. A good tip would be to check your car’s tire pressure. Its recommended to check the pressure of your car’s tire after every 10 degrees raise or drop in temperature. Also, you could by sun screen protector for the dashboard of your car. 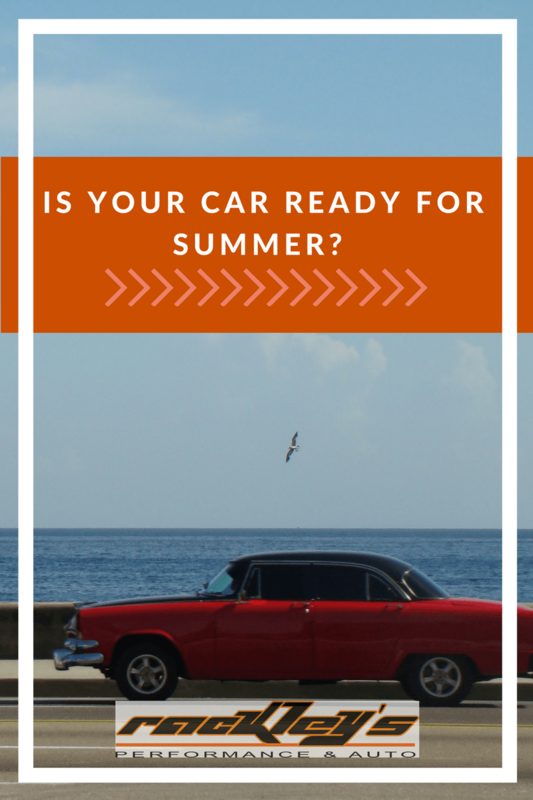 When summer comes you should check whether your car is in good working condition or not. Due to the high temperature of summer, a car may get damaged. Few parts of the car is not working properly that may go beyond than their normal working condition. Hot temperature damages the battery part and it is no longer capable to start the car. If you go for a long drive without checking your car then there is a chance that you may face problem. So it is important that you should follow the above summer car maintenance tips which will protect your vehicle against the hazards of summer. This is all super great advice. My dad always taught me that the better you take care of your car the longer it will run. I have found this to be true with every car I have owned. I have literally had every car last for years. I like that you mentioned that the average battery life is up to 7 years – not many people know that! My car battery is almost 7 years old, so I need to replace it. Hopefully, I will find a good specialist to help me on this matter. Yes, it is good to give the car a bit of warmth and deep affection in summer, so that we can diminish the probability of getting stuck on the roadside in the smoldering heat. Thus, if anyone is planning a road trip or long drives, then first he has to make sure that his a car is in A1 shape to conquer the challenges put by the blazing heat of summer. Here, you have mentioned some valuable summer car maintenance tips. I just wanna say that one may incorporate all the above steps in his car maintenance schedule. Otherwise, he can take his car directly to an authorized service center in order to provide an effective summer aftercare. Ya, schedule car maintenance is a good way to keep the car in an excellent shape. But we should not underestimate the vitality of summer car care, rather we should give it equal preference like other aftercare schedule to keep the car safe from the brutality of summer. Here are some important tips for car maintenance in summer . To avoid overheating of engines,the coolant system must be well serviced. Engine oil should be changed according to specified manufacturers. Air conditioning should be working properly. Good quality wiper blades must be there to protect the car from sudden shower. Battery must be checked on the eve of summer vacation to see whether it is working or not. To wash away dead bugs, washer fluid should always remain full. I like that you mention having your battery checked. My brother just got his first car and is looking for a good auto service. I’ll be sure to talk to him about getting his battery checked often. For every car owner it’s important to have car knowledge and car maintenance ideas. Everyone wants to have a gorgeous, good looking and long lasting car, but many of car owner really don’t have enough car knowledge and they don’t know how to take care of their car. I suggest everyone to get help from online blog and video. Great tips! It is very informative information. I would certainly follow your tips. Every people should maintain their car in summer. Thanks for your instructive guide. The first step to understanding your car is by going through its manual. All vehicle manuals give extensive insights into the car maintenance steps and schedules. The manual will inform you on when to change its oil, its filters or timing belts. This is a great article and it’s perfect for me because i am newbie in car maintenance, I’m sure that is gonna be beneficial for anyone else. Thank you very much. Thank you for all the information about summer car maintenance. I would love to make sure my car will be ready for this coming summer. I will have to make sure that I get the air conditioner in my car checked and have enough Freon to keep it functioning all the way through summer. With the summer coming in a couple of months, I need to help my son prepare for the change in temperature. As you said, you should first look at your coolant so that you can keep the radiator cool. My son is just learning how to drive, and I think that he could save himself a lot of money by keeping his engine cool. Thanks! My wife and I are getting ready to take a road trip this summer, so thanks for the maintenance tips. I like your point about having your oil changed because of the temperature differences. I don’t want to risk having the car break down during the trip, so I’ll be sure to change the oil before we go. I love the comment you made about dull wiper blades causing scratches on your wind shield. Visibility in heavy rainstorms has always been difficult for me and I think that keeping up to date on my wiper blades would help me out a lot. I’m sure I would really benefit from having a professional check out my wipers and update them. Great tips .Cars do require maintenance specially during summer and if its not maintained then there will be more problems and it will costly .Thanks for sharing this article. Thanks for these maintenance tips for a car. It’s good to know that the battery should be checked because batteries can fail with swift weather changes. I’m interested to know if you should check batteries before or after the change in weather, just in case you can get issues resolved quickly. This is some really good information about car maintenance. I just bought my first car and I want to care for it well. So, it is good for me to know that I should get the coolant system serviced because it wi what keeps my engine cool.